Bob Patton has been working in the insurance business since 1975 and specializes in designing and implementing employee benefit plans and executive compensation packages. Bob graduated from York College of PA. with a B.S. degree in Business Administration. He also has his Chartered Life Underwriter (CLU) degree from The American College in Bryn Mawr, PA. Bob has been an active member of the community and served on local boards such as the York-Adams Chapter of Financial Service Professionals. He is a current member (and past President) of the York Area Insurance and Financial Advisors (1988-1989), and is also a member of the York College Alumni Association. Michael is a graduate of Dallastown High School & York College of Pennsylvania and has been with The Patton Group since 1998. He regularly attends seminars of the Society of Financial Service Professionals for continuing education and to stay on top of the current trends in his profession. Michael lives in Dallastown with his wife, Bobbi, and their two children, Sam and Emma. He enjoys traveling, golfing, and is an avid fan of the Baltimore Ravens. Michael is looking forward to establishing more long – term client relationships by delivering on dependable service. 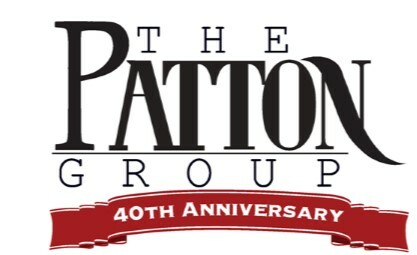 Chris has been with The Patton Group since 1998. He is currently pursuing his REBC (Registered Employee Benefits Consultant) degree. Chris is also a proud member of the National Association of Health Underwriters (NAHU) and the Central Pennsylvania Association of Health Underwriters (CPAHU). Chris has the goal to become one of the top insurance agents in York. In order to achieve success, Chris believes in 100% client satisfaction with their employee benefit plans. Dave Patton is a graduate of Elizabethtown College in 1991. After earning a Bachelor's degree in Accounting and Finance, in 1992 he decided to get into the insurance business with his Dad. In his early years, he helped create financial plans for families including advice with insurance and investment products. Later on, Dave shifted his efforts in the business community, including the sales and service of employee benefit plans. Dave has also served as the Vice President for two years at the York County Builders Association and many more years on their Board. Cynthia began working in the health insurance business in 1982, providing commercial and individual customers with insurance services. Over the years, she has worked both as an insurance broker, and an insurance company representative. She is a member of the National Association of Health Underwriters. Over the last 15 years Cynthia has worked in Medicare and group and individual health insurance. A graduate of Dallastown High School, York College and Harrisburg Area Community College, Brandy holds an associate degree in Health Care Management and a bachelor degree in Recreation Administration. In January 2012, she joined The Patton Group to specialize in the business of health, life, disability, and dental insurance. She is a member of the NAHU (National Association of Health Underwriters). Brandy works with group and individual health insurance along with Medicare supplements.